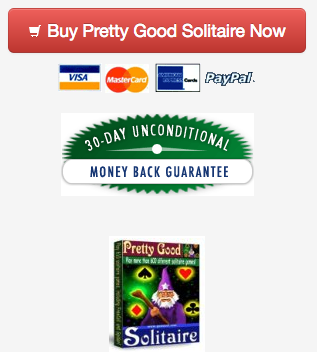 Goodsol Solitaire Blog: Why No Android? No, we do not have an Android version at this time. This is basically all I can say in an email. Here is the longer answer. We do not have and it is unlikely that we will, and the reasons are time and money. Time is very important. We are a very small company. Supporting apps on a single OS involves a lot of work. For a long time (from 1995 to 2007), we had apps on only one OS: Windows. It makes a lot of sense for a small company to concentrate on only one OS. You can learn it well. For many years, I thought we would never have a Mac version. It didn't make sense. But then it started becoming clear that Apple was going somewhere, so in 2007 we added a Mac version. It was a good decision, but it also took a lot of time. Now my attention was split two ways. Then in 2013, we added an iPad version (probably a couple of years too late). The iPad version was easier than adding the Mac because a lot of code can be shared between them, but still it is a completely different operating system. Now we are split 3 ways. We hope to add iPhone to this, as it is another easy add, given how close it will be to the iPad (mainly just screen size differences, although in some games that is huge). Android would split things even more, leaving less time to deal with our Windows/Mac/iPad apps. But its worse than that: Android has lots of different types and different devices. And then you have Android devices like the Kindle. Android is a technical nightmare. The time involved would be huge. And then there would be money. It would cost a lot to develop an Android version. And Android apps make far less than iOS apps, so we know that it would be for an amount of income far, far smaller than what we currently make from the iOS apps. It just makes no sense whatsoever. Unless things change radically it seems unlikely we will ever have an app written specifically for Android. Update: We now have online games that will work on Android tablets. These games are at http://www.goodsol.com/play . They will work on desktops, laptops, and tablets in the browser. In addition to Android tablets, they will work on the Kindle Fire too! So sad. I love Good Solution on my desktop. Would like to use it on my Samsung tablet. These are all common reasons I hear from iOS developers, but one thing that is usually overlooked is market share. Android commands over 75% of the market share according to reputable analytics companies like IDC and Gartner: http://www.idc.com/prodserv/smartphone-os-market-share.jsp. So if I were a a game developer like you, I would be asking myself "How can I make the most money?" iOS continually hovers around 20%. Do the math and it doesn't make much sense to support iOS at ALL, let alone instead of Android. Market share is not the only consideration; that is far too simplistic a measure. When other developers "do the math", they find that the average spend for an Android user is far less than the average for an iOS user. Additionally, at the moment we are talking about tablets, not phones, where iOS is still dominant over Android. Looking deeper, one considers the "opportunity cost" of development, as Thomas mentions in the article. Porting a Mac game to the iPad required far less effort than porting to Android, especially since the latter requires a change of language (to Java), while the former uses the same language and development tools. The development effort was, nevertheless, significant. I have a surface rt with a windows operating system. Why won't Pretty Good Solitaire work on it. I tried downloading thw windows version and it said it was not compatible with my system. Unfortunately Windows RT is a special version of Windows that does not run regular Windows applications. There is nothing we can do about this, Microsoft deliberated crippled RT in this way. It is a complete failure and Microsoft has basically abandoned Windows RT - it was a terrible idea. No regular Windows software will work with Windows RT. I too am so sorry that you aren't planning an Android version - but now I understand why. Thank you for the explanation. Surely there is a sympathetic Android guru amongst the Pretty Good Solitaire players who could lend a hand? I suppose there is the question of copyright to consider then, although there must be a way around that. I would LOVE to be able to play PGS on my Samsung Android tablet rather than only on my PC - here's hoping for a solution! Thanks for the explanation. I completely understand. I have not yet paid anything for a game on my cell phone, the only android device I have. And I doubt I ever will. 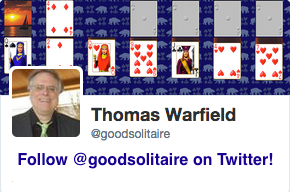 If it were really cheap, I might have paid for Pretty Good Solitaire, but I'm happy to have it on my desktop at home. Another thing to take into consideration, at least for Kindle Fire (KF), is that Amazon is constantly "tweaking" the OS. I understand that Win/Mac is constantly being updated, as well, but when you factor in the KF/'Droid updates along with all of your other updates and work on the Win/Mac platforms, it gets even more time consuming. This really does make me sad, because I LOVE one of the GoodSol games in particular, Castles In Spain, and while you do have that version in your online collection, for which I am far more appreciative than you will ever realize, I literally can't find a downloadable version of CIS anywhere on the 'net for KF/'Droid .